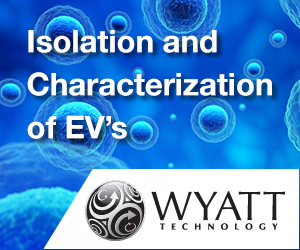 Exosomes are 40-100 nm nano-sized vesicles that are released from many cell types into the extracellular space. 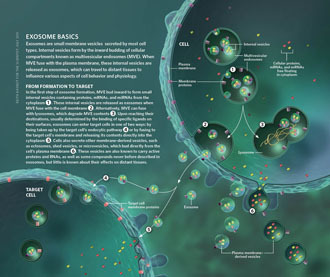 Such vesicles are widely distributed in various body fluids. 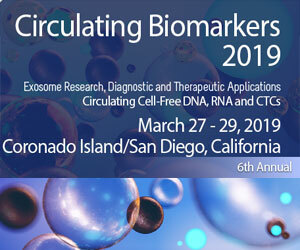 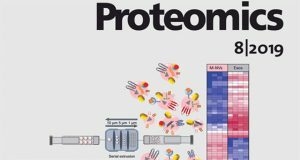 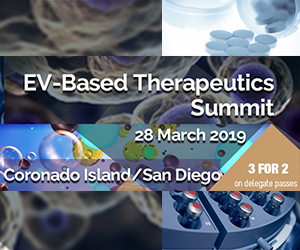 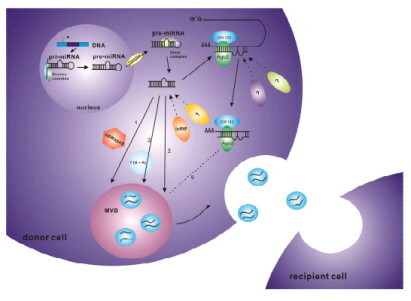 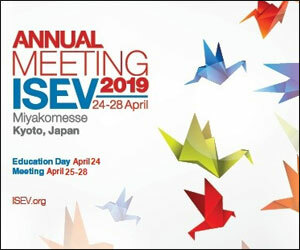 Recently, mRNAs and microRNAs (miRNAs) have been identified in exosomes, which can be taken up by neighboring or distant cells and subsequently modulate recipient cells. 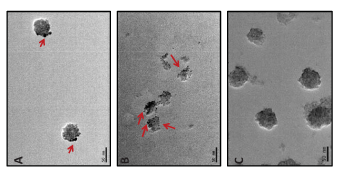 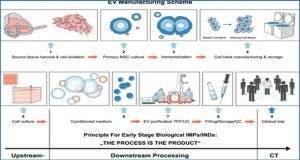 This suggests an active sorting mechanism of exosomal miRNAs, since the miRNA profiles of exosomes may differ from those of the parental cells. 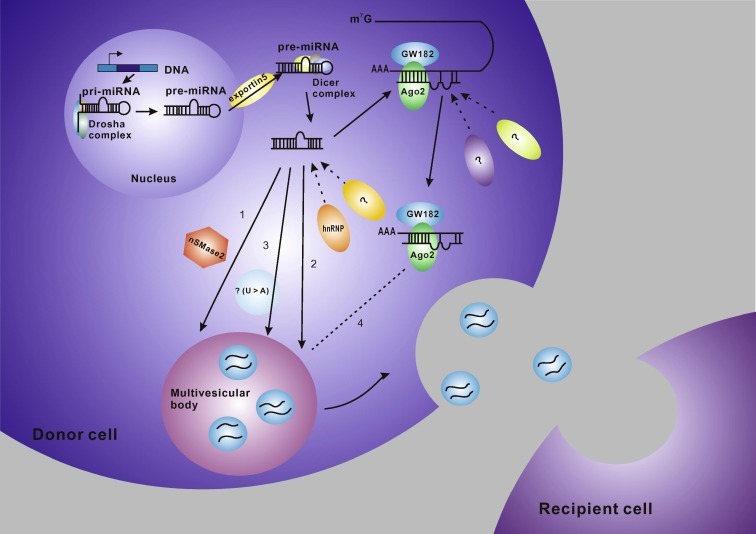 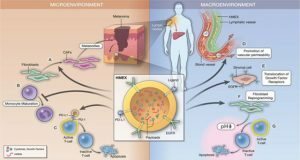 Exosomal miRNAs play an important role in disease progression, and can stimulate angiogenesis and facilitate metastasis in cancers. 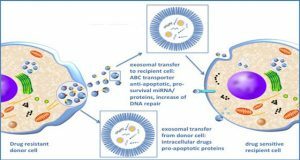 In this review, the authors introduce the origin and the trafficking of exosomes between cells, display current research on the sorting mechanism of exosomal miRNAs, and briefly describe how exosomes and their miRNAs function in recipient cells. 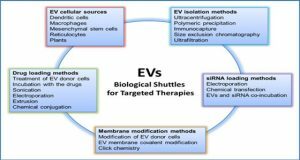 Finally, they discuss the potential applications of these miRNA-containing vesicles in clinical settings.